Fish Pendant (PND387). 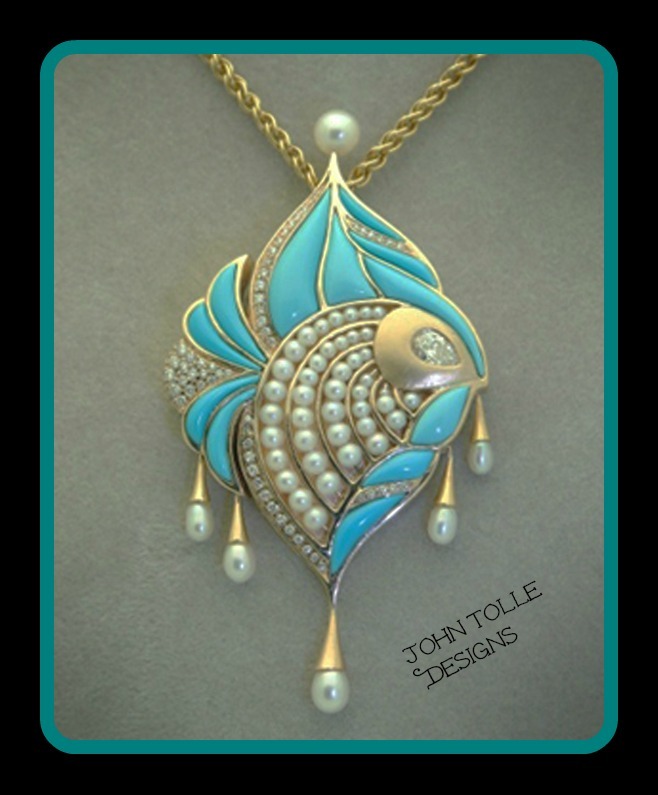 Turquoise, pearls, and pave diamonds. With a 45pts pear shaped diamond accent. Set in 14kt yellow gold. Click the button below to add the Fish Pendant (PND387) to your wish list.